This particular design is Micah, though I decided to let the player nickname the boys themselves, so it's a bit arbitrary now. 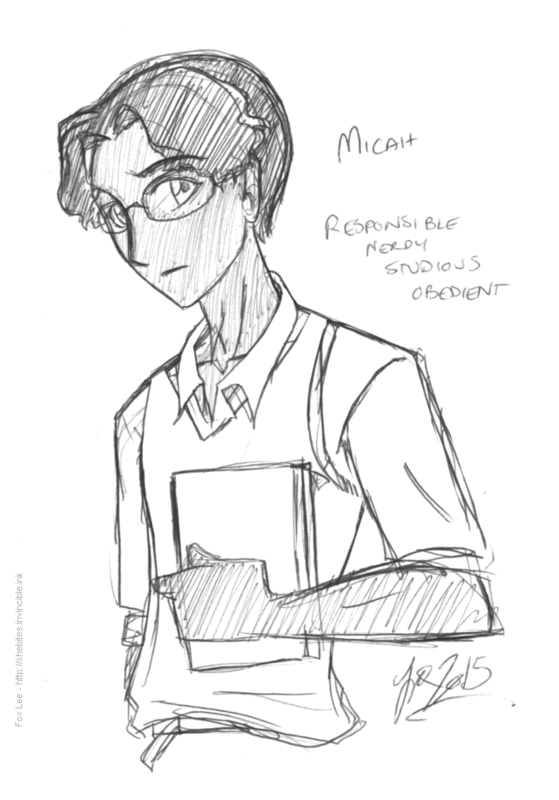 The nerdy responsible boy of the game, Micah is a mature young man studying medicine at university and working part-time at his uncle's pharmacy. His family, who emigrated before he was born, are very close-knit and have (perhaps unreasonably) high expectations of him. Being deliberately serious and well-behaved, he has some trouble being emotionally honest.